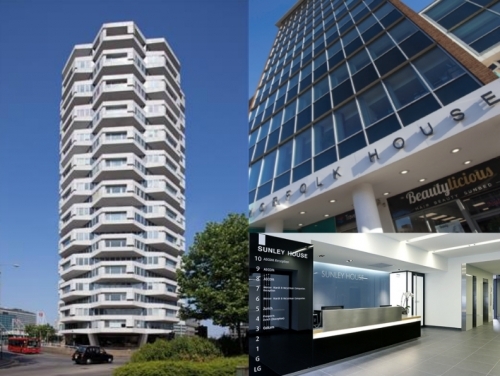 The Gym Group and Twenty 4 Seven Solutions are the latest tenants at the iconic One Croydon building, while a lease renewal with Atkins has recently been concluded. The ofﬁce market remains buoyant with Croydon offering better value than central London and ever-improving amenities such as the bustling Boxpark, for which SHW were planning consultants. SHW have also achieved consent for 182 residential units, plus rooftop garden and retail space at Carolyn House. SHW Development Consultancy are seeing the construction of many previous deals - St Anne’s House, The Quarters, Canterbury House, No5 Bedford Park and Emerald House to name a few. The industrial team have been very active despite tightening availability. Notable deals include thesale of 6 Commerce Way to an owner-occupier.